WANT MORE INFO?We Are Here to Help! This Craftsman-styled home offers 3 bedrooms and two full baths designed with a young family in mind. From its brushed nickel finishes, granite countertops and ceramic tiles—to its eased height cabinetry, MI high efficiency “Low E,” double-pane windows, and stainless electric appliances—the Emma brings both function, form and aesthetic to your lifestyle. This is affordable, everyday living at its finest. 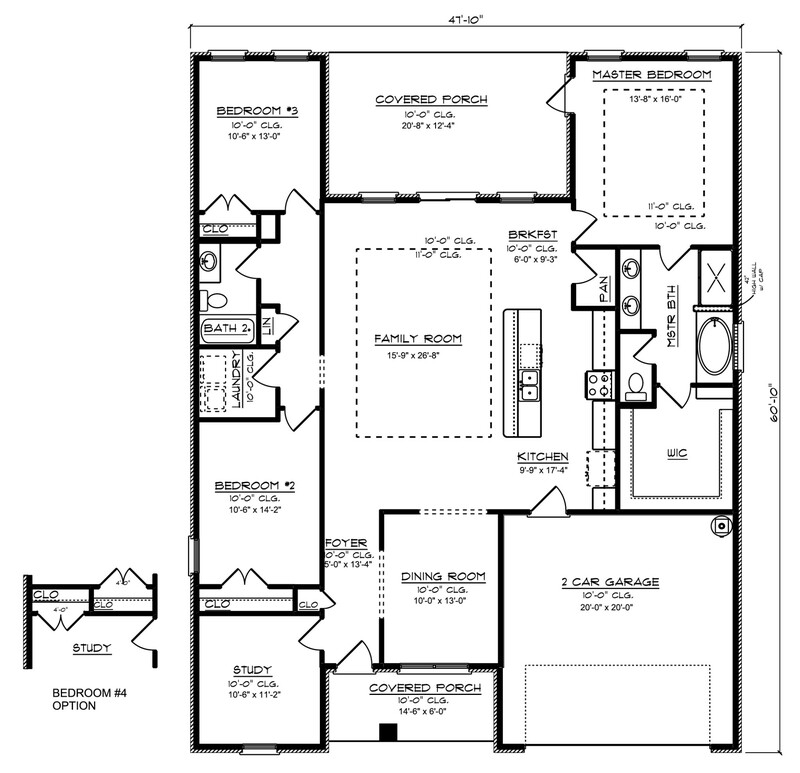 The bonuses of this plan are a back covered porch accessible from the family room and the master suite, as well as a transformable front study. The Halifax Homes Team will take you through the home buying process every step of the way. From choosing the perfect community, to finding the plan that fits your life, to tailoring the house to fit your style—our team is here to help. ©2018 Halifax Homes. All Rights Reserved.